With Americans now spending over $41 billion per year on their pets; 39% of US households owning at least one dog and 33% with one cat, is it any wonder that the company PAWS Pet Company has chosen to build the world's largest pet database? The PAWS target market aims at pet owners, veterinarians, animal shelters, rescue groups and other pet related businesses. According to PAWS, the new business unit, named PAWS Pet Technologies will focus on the development and sale of innovative database web mobile and social media technologies. PAWS Pet Company which also owns PetAirways has purchased the Chicago-based Impact Social Networking in an effort to expand its product and service offerings. Dan Wiesel, CEO of PAWS Pet Company, Inc., said, "With over 118 million U.S. households owning at least one pet, we saw an opportunity to bring our unique vision to the pet technology marketplace. The acquisition of the technology assets of Impact Social Networking, will allow the company to become a leader in technologies and services that will benefit the lives of pets, pet parents and pet caregivers." While a lot of these new offerings yet to be developed, one area that pet owners can benefit from immediately. The PAWS Pet Register database is a nationwide pet recovery database where pet owners can register information about their pets, obtain insights into microchip data and upload photographs of their pets. 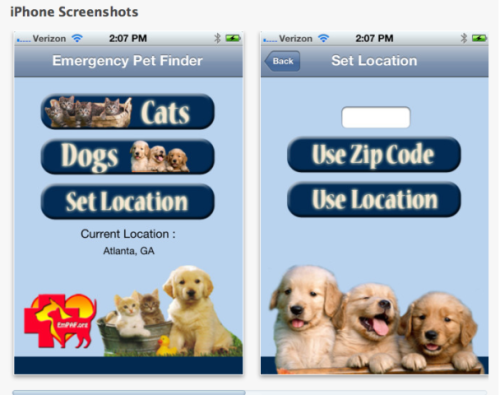 With over 6 million pets going missing every year, there is now a 'free' iPhone application called "Missing Pet Listings" that was developed by PAW Pet Technologies to help unite pets with their owners. In association with the Emergency Pet Assistance Foundation, you can register your lost pet (dog or cat) so that other mobile device owners with the app can assist in finding these lost pets by geo-locators that include city, state and zip code. 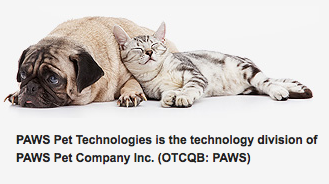 Under the terms of the IPO offering, the Company will issue approximately 7.4 million shares of common stock, and may issue additional stock based on sales of products and services of PAWS Pet Technologies achieving certain revenue goals over the next 48 months. If you're a pet lover, you might want to invest in a company that's making a major investment in your pets.